Rather like painting the Golden Gate Bridge, gathering data for Google’s Street View service is a never-ending task . Before Google has had a chance to photograph every street on the planet, some of the areas already covered are starting to look out of date. Buildings get knocked down, new structures spring up, landscapes change – and suddenly some of Google’s Street View images don’t match up with reality. Google, of course, is well aware of this fact, and besides mapping new areas with its wide variety of 360-degree cameras, also busies itself with the monumental task of refreshing old imagery. On Thursday it rolled out its latest set of renewed data, this time for a number of UK cities – London, Manchester, Glasgow and Cardiff among them. It also added new imagery for UK locations not covered up to now, areas which include parts of Scotland’s coastline and locations in South Wales. 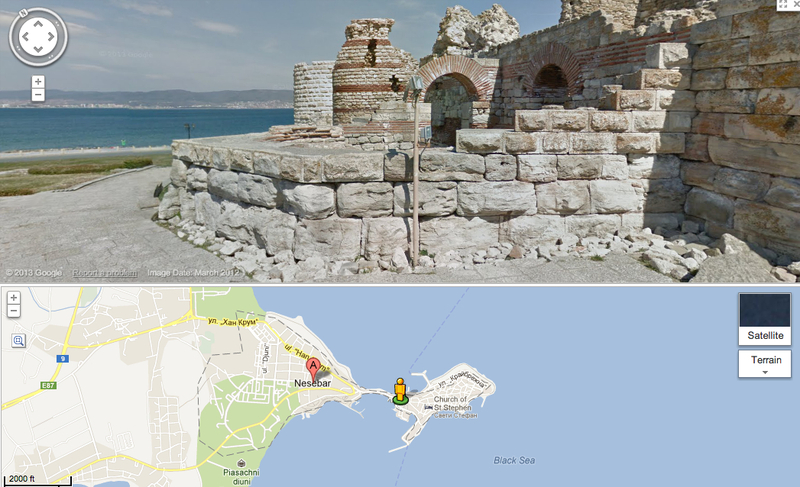 “For the first time, people all over the world can see Street View imagery of Bulgaria,” Spitzer wrote. “They’ll also have access to panoramas of almost 200 new towns and cities in Russia,” as well as the thousands of miles of refreshed imagery for the UK. Bulgaria is the 48th country to allow Google’s camera-laden cars to explore its streets. The initial rollout of data includes the nation’s capital, Sofia, as well as historical cities such as Veliko Tarnovo. Bulgarian ski resorts such as Bansko and Pamporovo also get a look-in. Finally, as mentioned, Google has also added Street View imagery for more than 200 Russian cities, including Sochi, host of next year’s Winter Olympics. Russia first appeared on Street View just over 12 months ago when imagery for Moscow and St. Petersburg was added to the service. All in all it’s a pretty significant update, and one sure to enhance the experience of any armchair travelers interested in a European break.